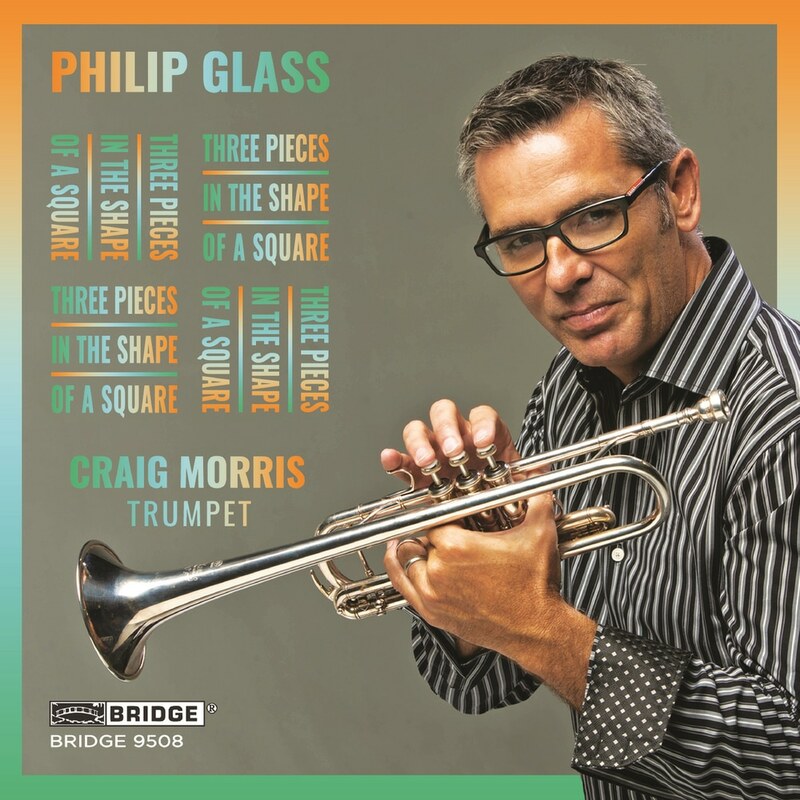 Craig Morris, former principal trumpet player of the Chicago Symphony Orchestra, has recorded brilliant solo trumpet versions of three Philip Glass classics. Morris’s new recording features works ranging from Glass’s constantly shifting Melodies (1995) to the driving minimalist rhythms and figures of Gradus (1968) and Piece in the Shape of a Square (1967). "Melodies" was written as incidental music for a play based on the novel, Un Captif Amoureux (Prisoner of Love) by the French author Jean Genet. Glass’s thirteen melodies cover a wide range of emotion, from touching and introspective to joyous and dancing. The visual element of Piece in the Shape of a Square, is much more a part of the composition than it is in Gradus. The music is set up in a roughly 10’ square, with one performer on the inside of the square and one performer on the outside. The performer on the inside moves around the square in a clockwise direction, while the performer on the outside moves around in a counterclockwise direction. Virtuoso trumpeter Craig Morris plays both parts on this fascinating recording.